Yes, that is a meal I really made, It’s pork chops. 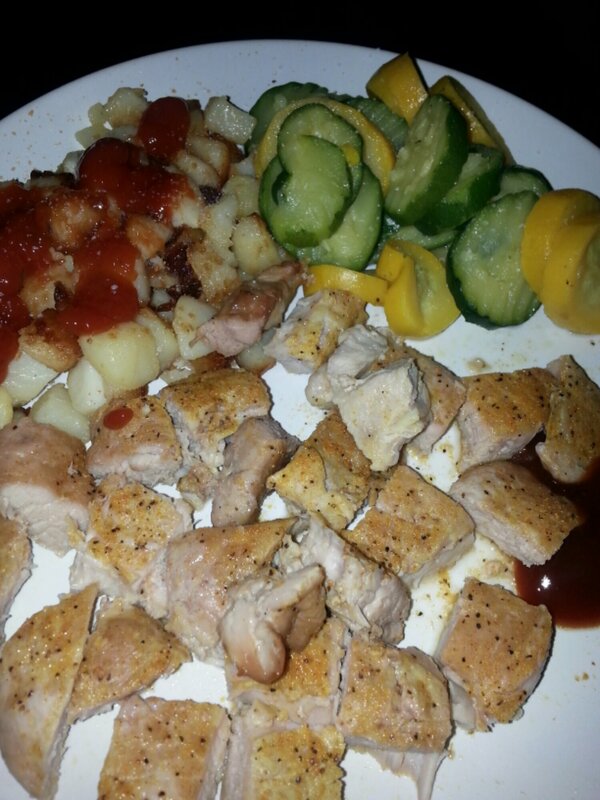 I take pictures of dinner to send to Brian to entice him to eat the food I leave in the microwave, or to make him have something to look forward to. So, I cut the potatoes and had the oil on the stove to heat up. I put them in a bowl to put into the pan. I then turned to put them in the pan. 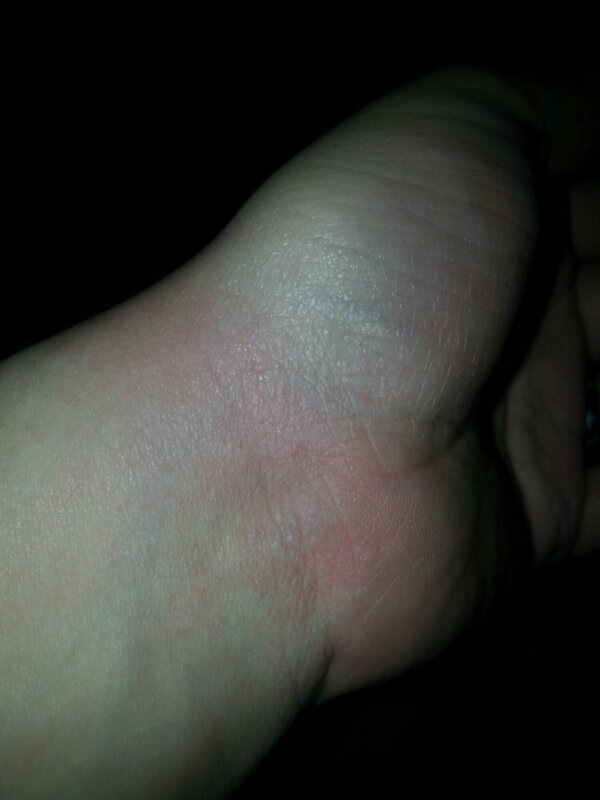 And….I got distracted and burned part of my hand and up my arm. Yes, by bathroom is crowded. 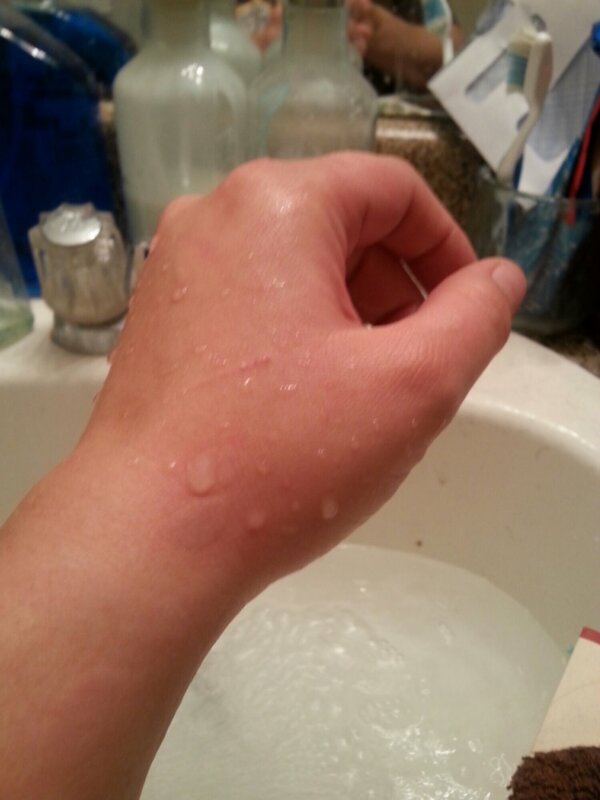 That is water droplets on my hand. 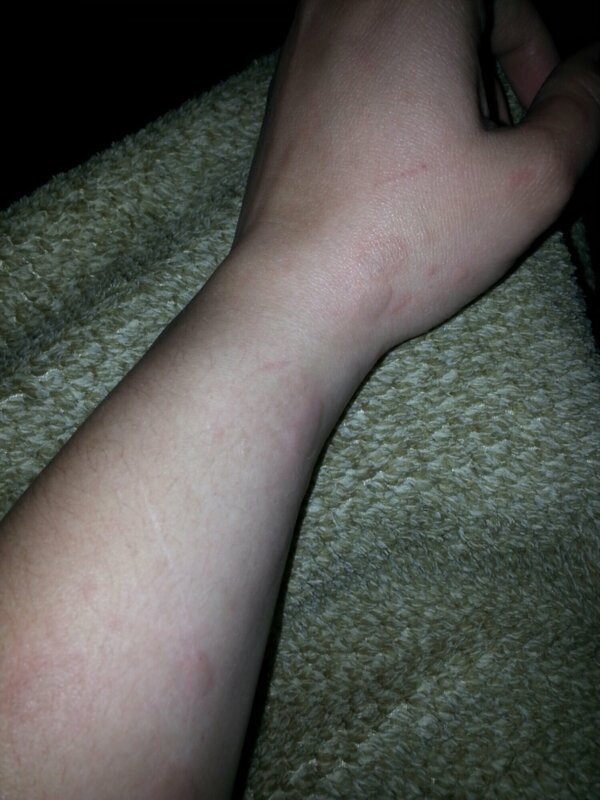 Brian later asked me, after I got over the omfg-this-really-effing-hurts reaction what I did after I got burned. I told him I finished putting the potatoes in the pan, a lot more carefully. 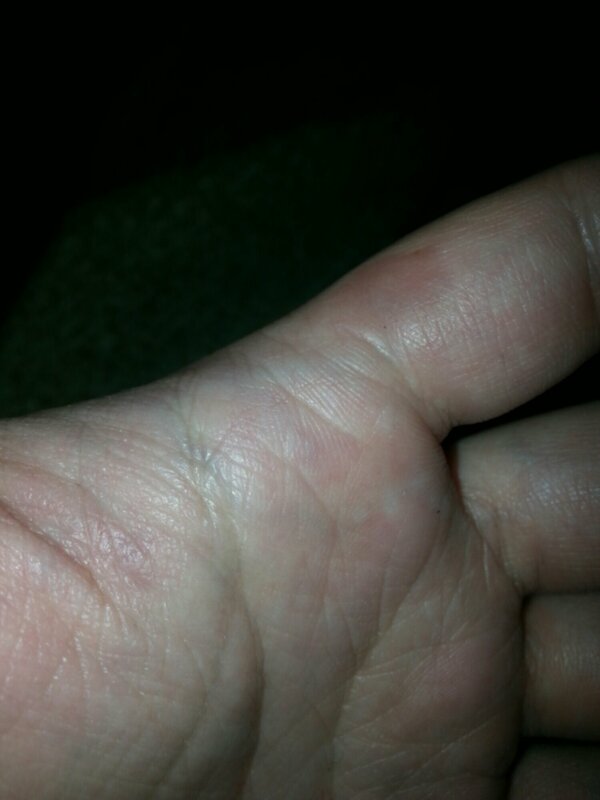 Then, I alternated running cold water over my hand and arm and stirring the potatoes. Determined? Yes. Stupid? I don’t know. But I wasn’t about to let my burn get the best of me! After the potatoes were cooked, I did talk to Brian between tears. Yes, I bawled like a baby. You might too. Brian convinced me to go to Walgreens and get something for the burns (I have burned myself plenty of times, usually a heat burn and never put something on it). I also picked up McDonald’s. Charity and I came home and ate our burgers and the f#*@ing potatoes. They were delicious. 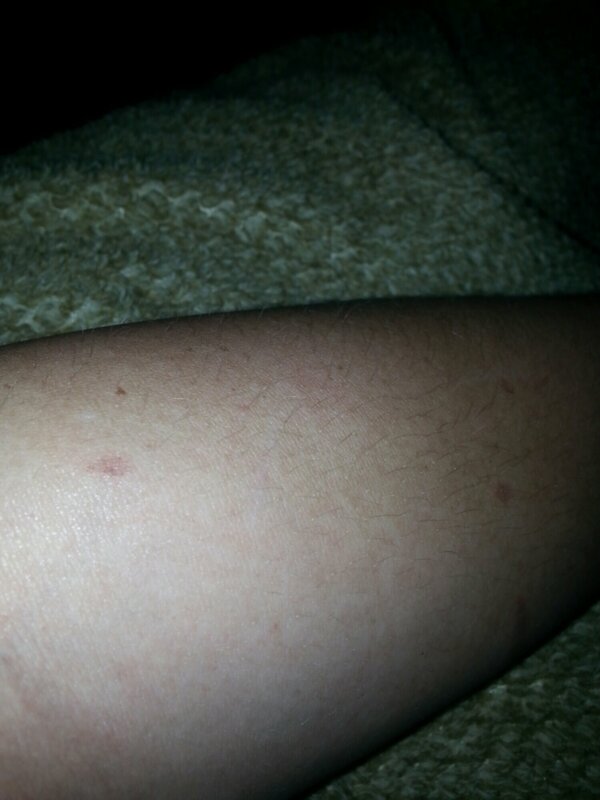 After food was in my belly and BurnJel on my arm and hand. I couldn’t tell where the burns were, completely. I did the best I could and took some pain medicine and went to bed. The next day, I had to bake. 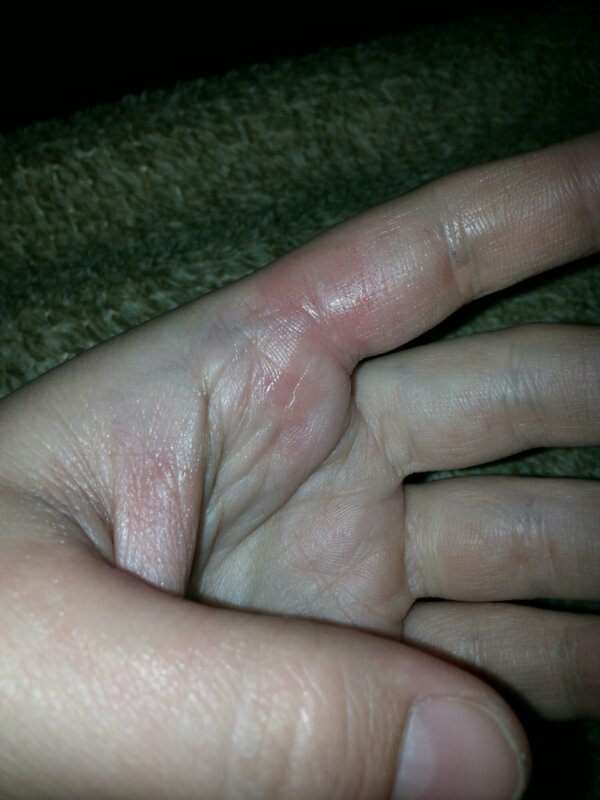 Even with an oven mitt, sticking my left hand in the oven was painful. 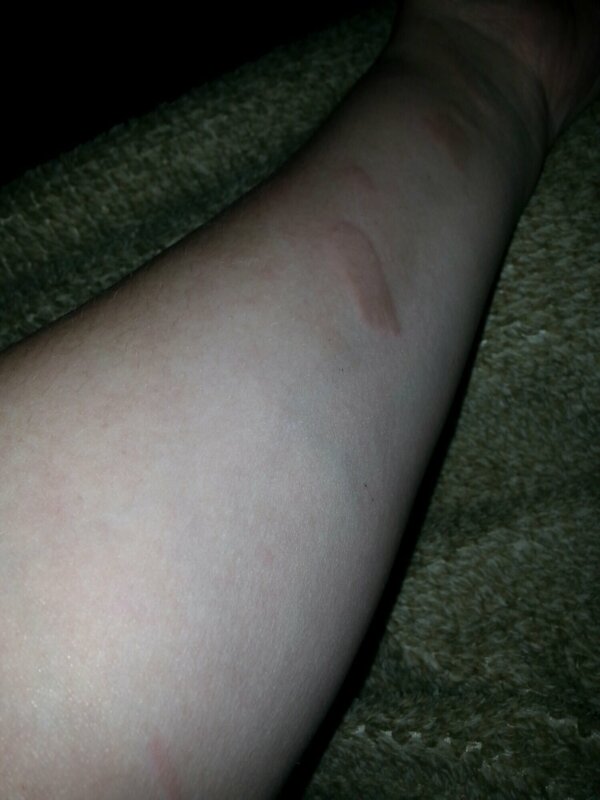 I also managed to get a burn from a sheet tray further up my arm. 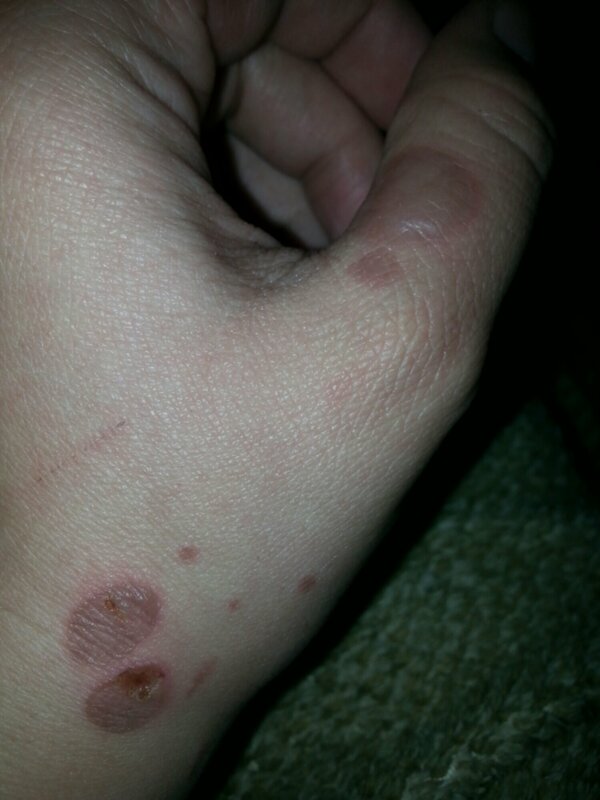 I guess my other burns weren’t enough. This was Wednesday night. The burn closest to my elbow is a heat burn (the bottom of the first picture), it is a completely different kind of burn. 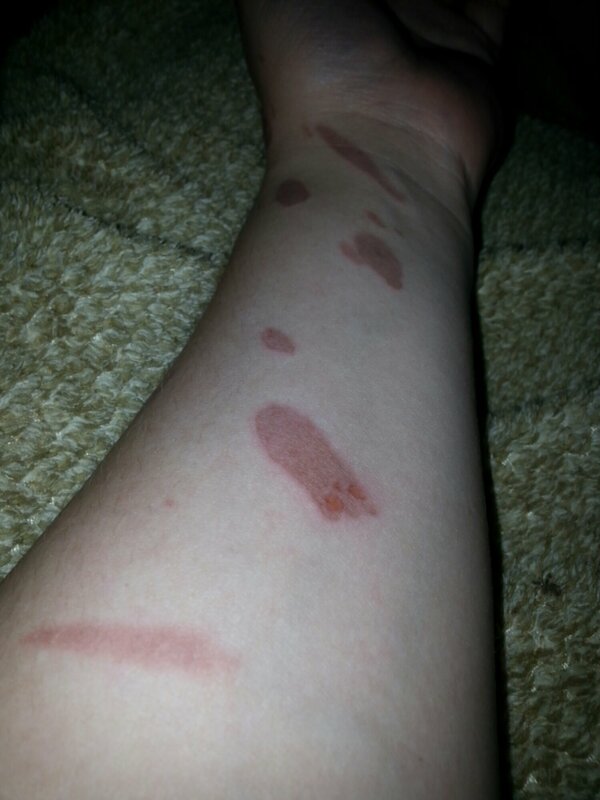 I have always know to be careful when working with hot oil. Some things just cannot be prevented. I don’t know if I could have completely prevented a burn on Monday night, but I could have made it less severe by paying attention. I am lucky I didn’t need to go to the ER. I am very lucky this wasn’t worse. I will be staying away from cooking my tasty potatoes for awhile. Ever burned yourself? I know Brian has! This entry was posted in home life, our crazy life. Bookmark the permalink.